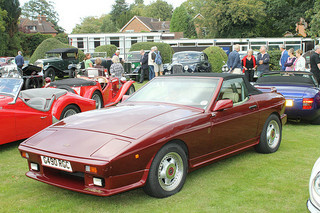 The TVR 350SE sports car was launched in 1990. With production of the best selling TVR 350i having ended in 1989, the company decided to produce a limited edition of 25 units of a specially prepared 350 to signify the end of an era, being the last 350's to leave the factory. Covering a period of seven years, over 1,000 of the 350i were built. 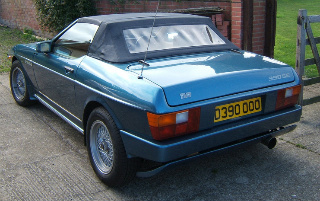 The commemorative car was the TVR 350SE, and each unit received, as a future record, a unique number that was set in a surrounding of gold laurels, and positioned on the wings and rear. 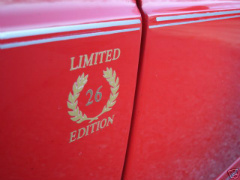 A "350SE" logo also appeared on the front spoiler, at the rear, and on the sills. The car was powered by a 3.9 litre, all aluminium, Rover V8 engine, and was fitted with polished multi spoke alloy wheels, and Koni adjustable shock absorbers. Using a hot wire mass air flow (MAF) fuel injected system, installed by North Coventry Kawasaki, the engine developed 240 bhp, and 235 ft/lbs of torque. This model was regarded as the pinnacle of the 350i in respect of both performance and appeal. Production of the TVR 350SE ended in 1991. 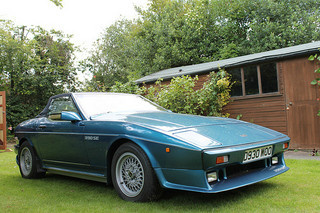 In October 1984, a year after the introduction of the 350i, the next sports car in the high performance series to be introduced was the TVR 390SE sports car. The engine now developed 275 bhp, and 270 ft/lbs of torque, and produced a top speed of 143 mph, with a 0-60 mph time of 5.7 secs. Other refinements included a stronger clutch to handle the increased power, a limited slip differential, and wider tyres. The outcome was a variant that would give a Porsche 911 Carrera of the period a definite run for its money. 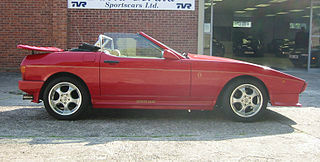 The wedge shape body styling received a deeper front air dam, a rear under body aerofoil, flared wheel arches, and modified sills in order to create a more aggressive profile. The rear suspension was heavily modified to reduce body roll, and it came with ventilated front disc brakes, together with wider 15 inch wheels to provide more grip. In 1988, the 390SE Series 2 was unveiled, and its most striking styling change was the adoption of a rounder nose section. Also that year, the engine capacity was increased to 3948 cc, when the car was redesignated the TVR 400SE. 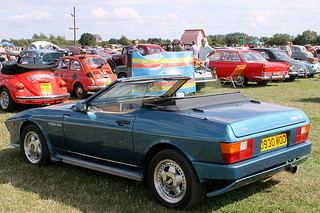 Since North Coventry Kawasaki was instrumental in modifying engines for various TVR models, it was duly acquired by the company, and renamed TVR Power. 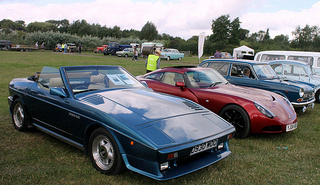 Production of the TVR 390SE ended in 1988, when around 100 units had been built. 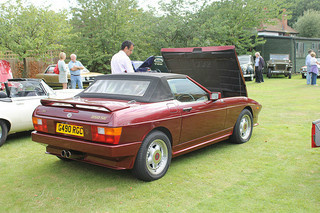 A 1990-91 TVR 350 SE in good condition would command in the region of £15,000/$24,000.